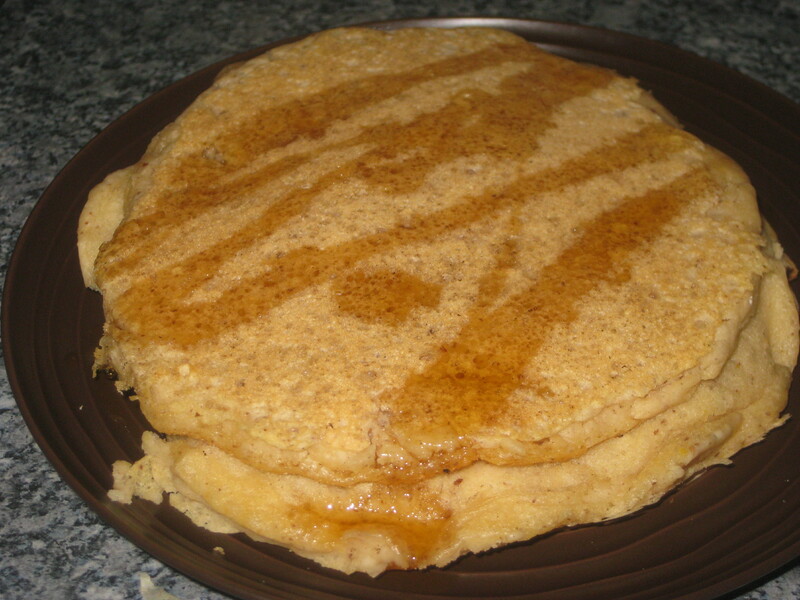 It’s Pancake Day tomorrow, and vegans needn’t miss out! The lack of eggs in no way diminishes the taste or texture, yet oddly did seem to increase my success rate when flipping the pancakes. No more misshapen heaps, this time I’ve got (almost) perfect circles of deliciousness. Progress! 1. 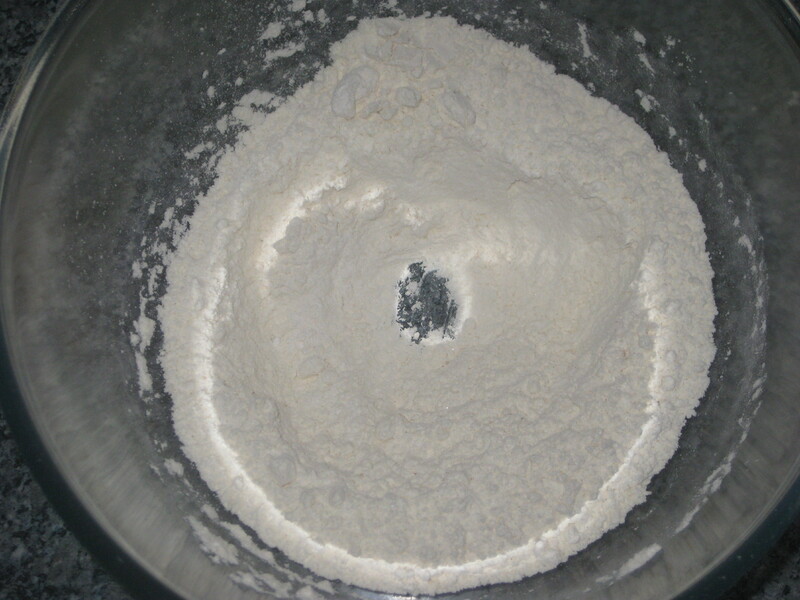 In a large bowl sift together the flour, baking powder, salt and sugar. Make a well in the centre. 2. 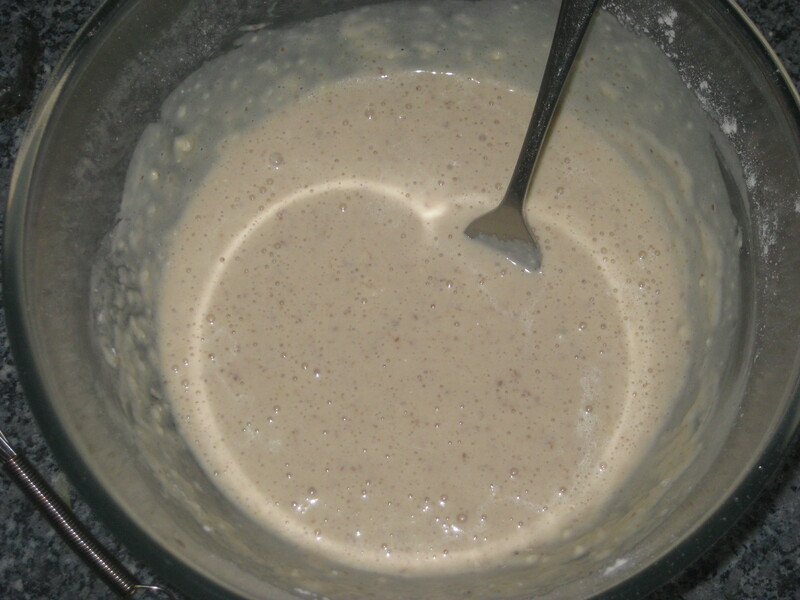 Vigorously mix together the milk, vinegar and flaxseed until foamy. 3. Pour the milk mixture into the well, and add the water, oil and vanilla. 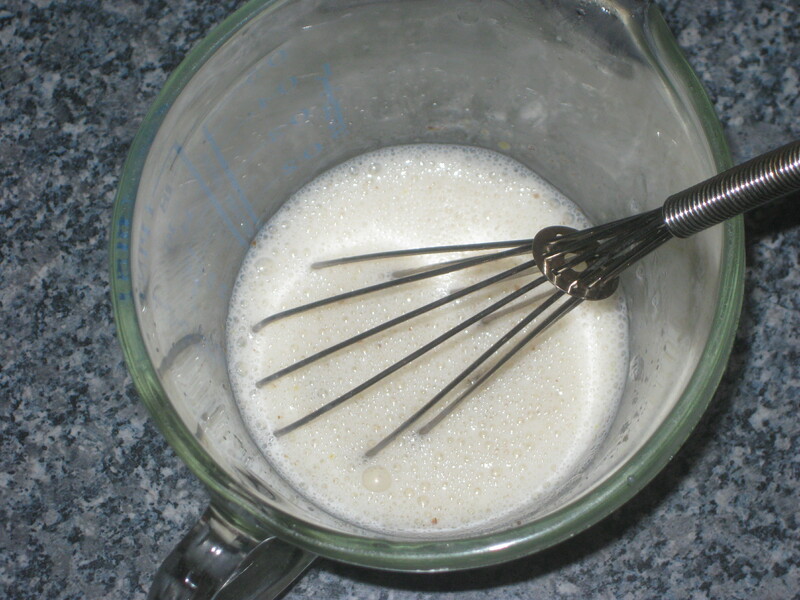 Mix with a fork until a slightly lumpy batter forms. 4. Preheat a pan over a medium heat for 10 minutes while the batter rests. 5. Lightly coat the pan with a thin layer of oil. 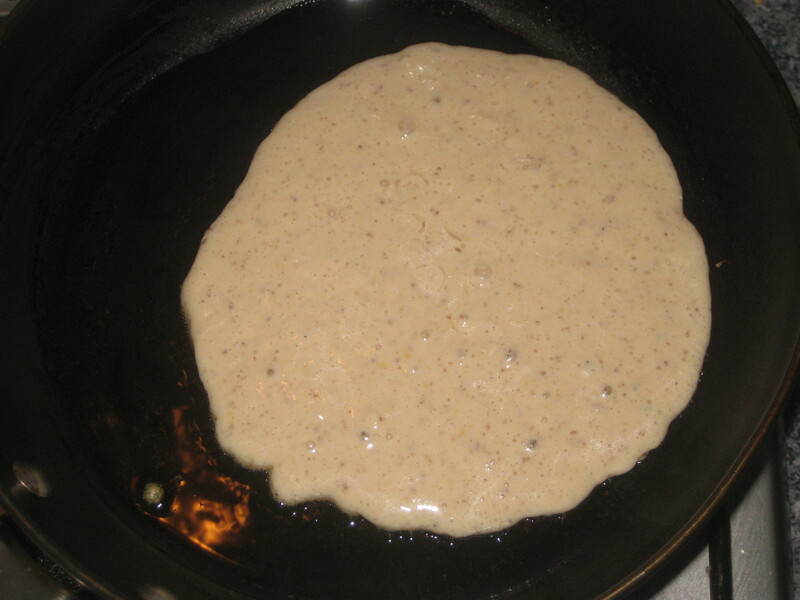 Add 1/6 of the batter for 1 pancake and cook for 4 minutes. 6. 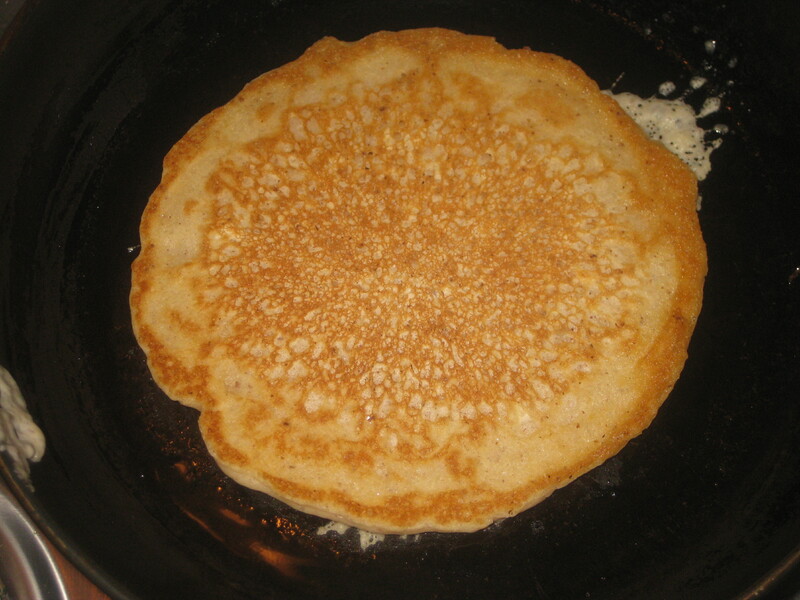 Carefully flip the pancake and cook on the other side for 3 minutes. Repeat with the remaining batter. 7. 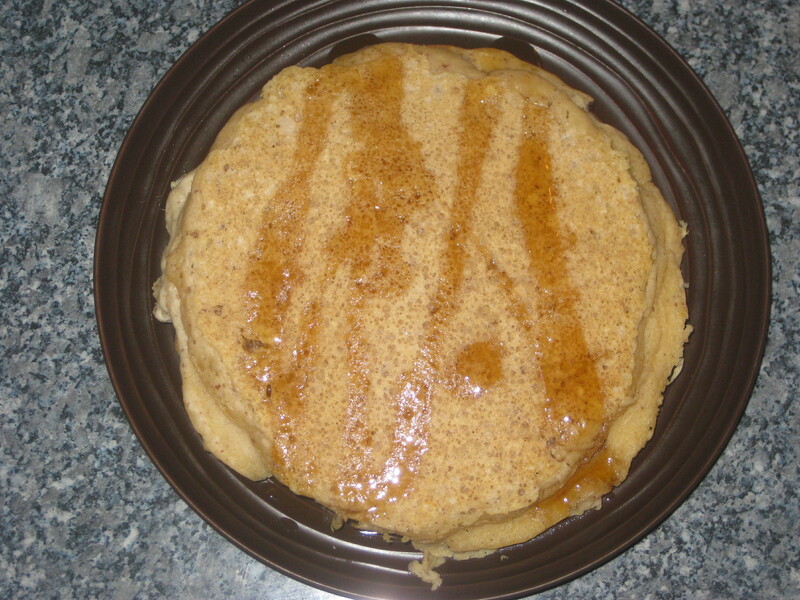 Let the pancakes rest on a cooling rack covered in foil until they’re all cooked, then serve with maple or golden syrup. 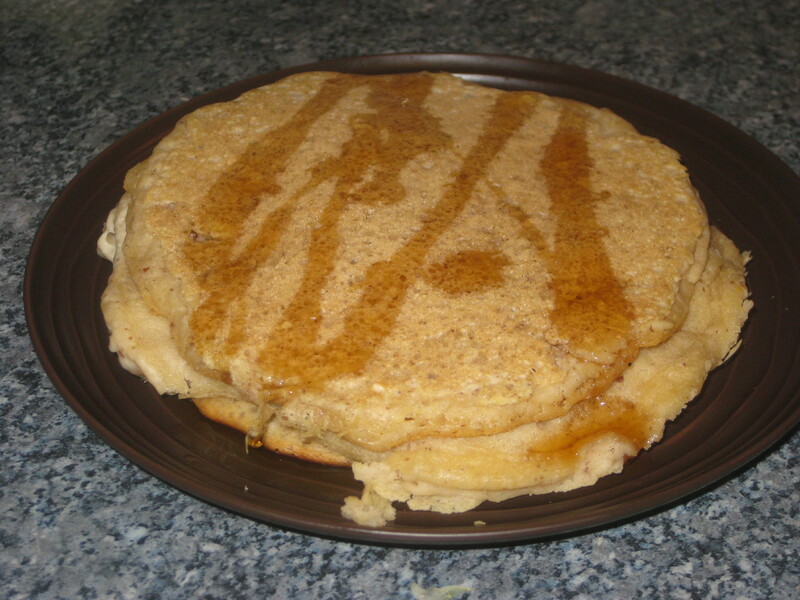 This entry was posted in Vegan Recipes and tagged pancake day, vegan pancakes. Bookmark the permalink.